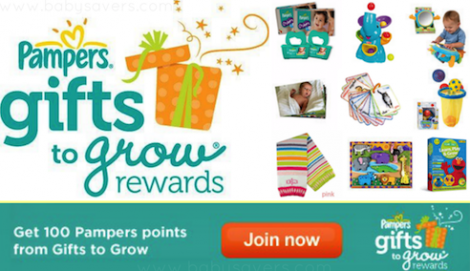 Click here to join Pampers Rewards program where you can get 100 Free Points. Most Pampers products (Diapers, Wipes) has points that you can collect and exchange for Free toys, magazine subscriptions, gift cards, books, and more. There were times where you could exchange your earned points for Starbucks gift certificates. Moreover, we also post Free points each week here in our website. This means that even if you don’t use Pampers products, you will still be able to collect Free redeemable points. Click here to register for Free and get your Free 100 points to start. The promo is open for newly signed up members only.